Looking for an easy, yet special chicken dinner recipe? 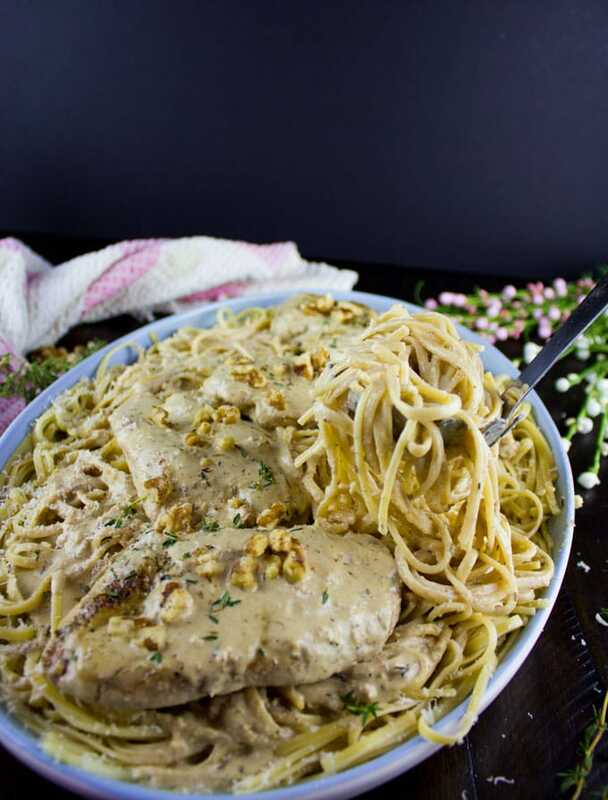 Try my creamy walnut chicken – delicious served over pasta, rice or cauliflower rice! There’s nothing like a home-cooked chicken dinner, even more, a chicken dinner that comes together in minutes and tastes like a five-star restaurant meal. 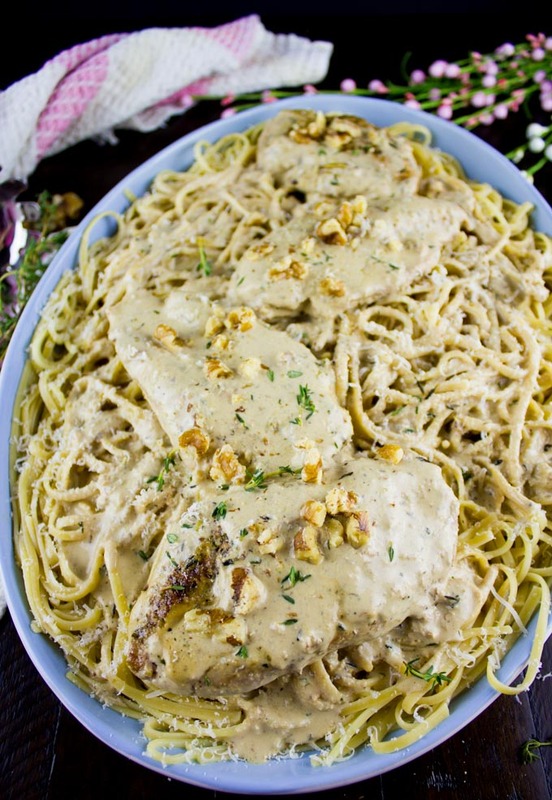 I’m talking about this luscious Creamy Walnut Chicken Dinner recipe. Almost everyone I know is asking me for chicken recipes and chicken dinner recipes. It’s dinner with a mix of comfort food, good protein, and above all, it’s a quick dinner! So I know I speak for many when I say there’s nothing like a delicious home-cooked chicken dinner. Nothing. If you guys remember, I always envy my Mom’s food. It’s a blend of sophisticated French cuisine with extra Mediterranean flavor. While I crave many of her recipes, I don’t always get a chance to cook them. It’s either I have no time, or if I have some time, I know my kids wouldn’t eat anything with fancy sauces so I pass. But, out of the many many delicious things my Mom makes, this walnut chicken and pasta skillet is one recipe I make so very often. 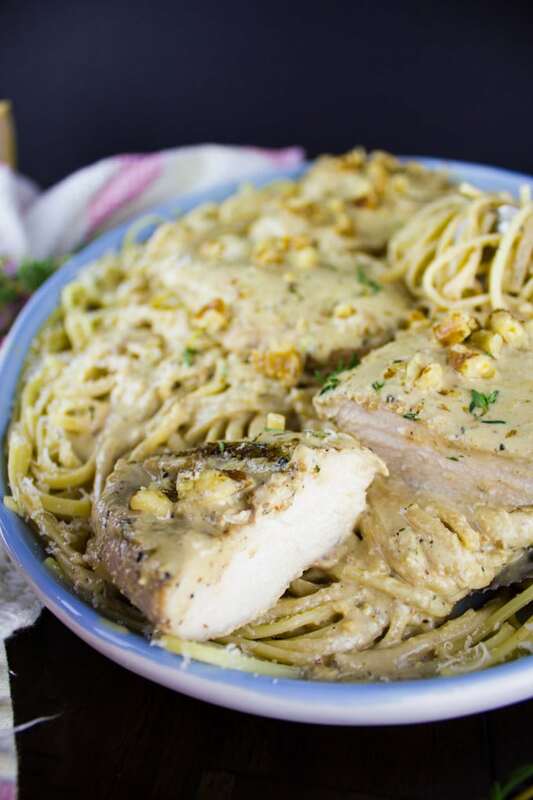 This walnut chicken and pasta dinner is of my Mom’s recipes that’s actually easy and quick! So unlike her other fancy complicated sauces, this one is as straightforward as can be. Still, it tastes like a fancy five-star dinner. 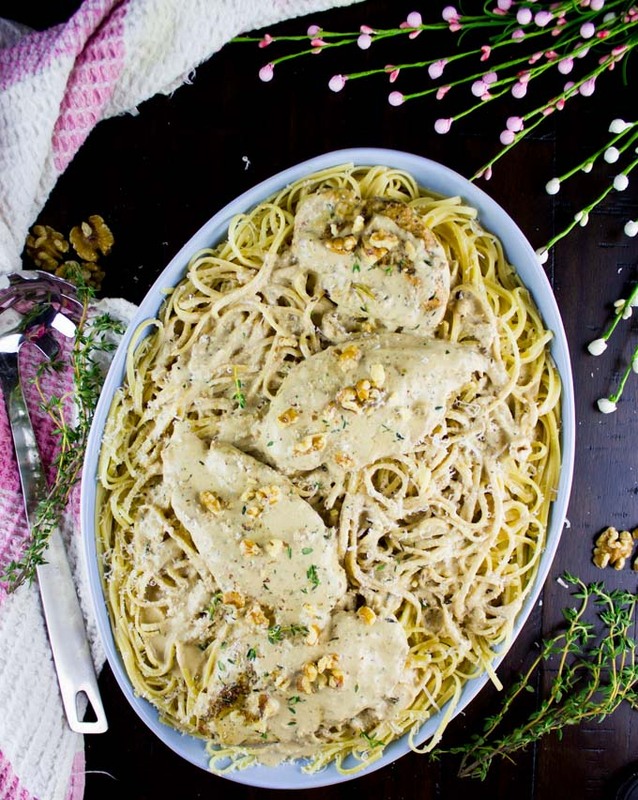 Here’s the deal, this creamy walnut chicken and pasta dish is absolutely easy and quick. So you can’t go wrong. Another thing, it’s insanely delicious. Finally, it feels, tastes, looks and smells like something you would pay lots of $ for at a fancy restaurant. Plus there’s a bonus, you’ll feel amazing after pulling this chicken dinner off! Yes indeed. Now double bonus, if you have friends or family over and pull it off, then woohoo to you! Start by searing your chicken breasts on both sides until nice and golden. No marinades needed, just a nice sprinkle of salt, pepper, oregano and garlic powder for the chicken. Now remove the seared chicken (they won’t be cooked through) and add in some butter. Obviously, you could use olive oil, but I’m sticking to butter today. Sauté some garlic and walnuts, some fresh herbs (or dried) and then add in some chicken stock and heavy cream, and bring the sauce to a boil. At that point, you can use an immersion blender or regular blender to blend the sauce into a nice smooth one. Pour the sauce back to the pan and now it’s time to add in the chicken. Have the chicken simmer in the walnut sauce for 8-10 minutes until it cooks all the way through and the sauce has thickened. If you prefer a runnier sauce, add in some extra chicken stock to the pan. And if you’re looking for an even thicker sauce, then let it simmer for 3-5 minutes longer. 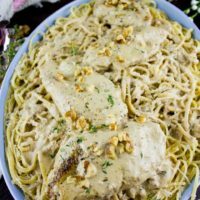 I absolutely love this walnut chicken dinner served over pasta. Something incredibly comforting and divine about that combo. However I think it would be just as great over rice or with some crispy baguette and a salad. 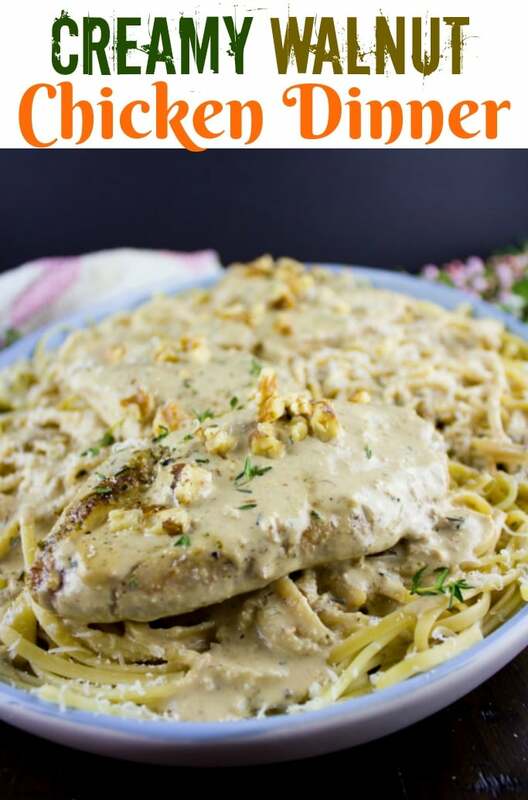 The good news is, I promise you’ll LOVE this creamy walnut chicken recipe and I won’t be surprised if you make it your go-to chicken dinner for those crazy days or just when you feel like indulging! While you’re thinking of chicken, here’s another favorite of mine when you’re in a zesty mood: Quickest Chicken Fajitas with Mango Pineapple Salsa and Fiery Tandoori Chicken Tacos with Cilantro Corn Slaw are quick, flavor-packed and easy chicken dinners! If you prefer a runnier sauce, add in some extra chicken stock to the pan. For an even thicker sauce, let it simmer for 3-5 minutes longer. I love serving this walnut chicken over pasta, but it would taste just as great with rice, or cauliflower rice for a low-carb option. Looking for an easy, yet special chicken dinner recipe? 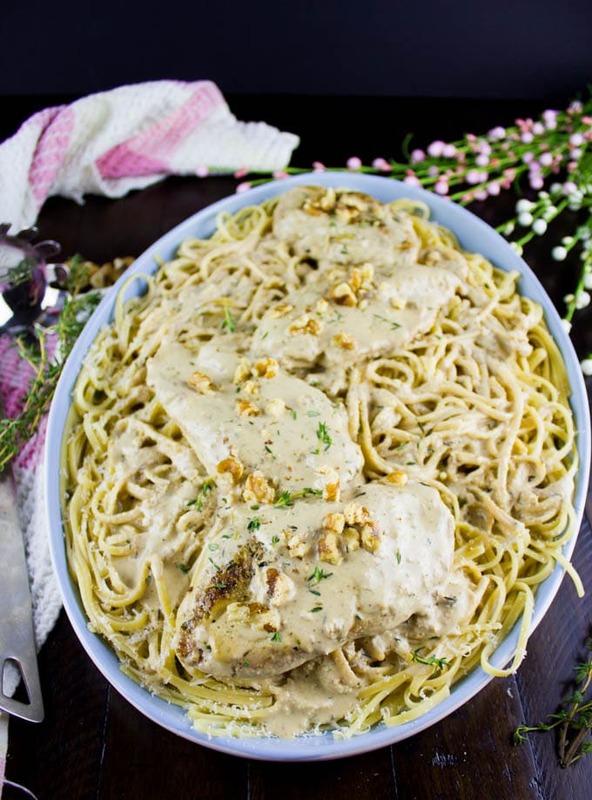 Try my creamy walnut chicken - delicious served over pasta, rice or cauliflower rice! On medium-high heat, preheat a deep 9-inch skillet with the butter. Season the chicken breasts with salt, pepper, garlic powder and oregano on both sides. Start searing the chicken for about 5 minutes per side until slightly golden, but not cooked all the way through. Remove the chicken from the skillet and lower the heat to medium-low. Add the extra tablespoon of butter to the skillet along with the garlic and walnuts. Sauté the mixture for a minute and add in the herb, and sauté for another minute. Add in the stock and cream and bring the mixture to a boil by increasing the heat to medium-high. Place the sauce in a blender or in a deep bowl and use an immersion blender to blend the sauce till smooth. Tate for seasoning and add in some salt and pepper to your taste. Place the sauce back to the same skillet and then add the chicken back. Keep the heat at medium-low and allow the chicken to cook through in the sauce for 8-10 minutes gently simmering. If the sauce is too thick, add some stock to thin it out. If the sauce is too run for your taste, allow it to boil for an extra 3-5 minutes until it thickens further. Looks really good! 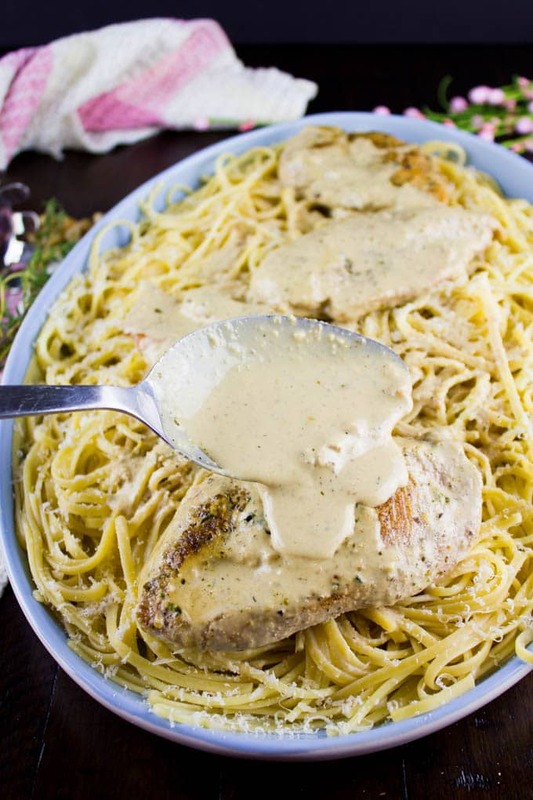 Tender and creamy, guess it’s the best combo we could get! 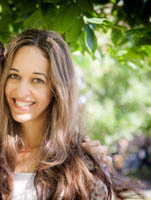 Thanks so much Diana!! Hope you make it soon! !